Hi friend! I hope you’ve been having a stellar 2018 so far! I’ve been writing for a couple other websites lately and so I haven’t had a chance to update the old blog in a little while. 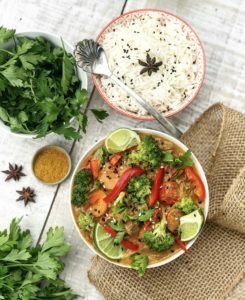 However, the amazing Academy of Culinary Nutrition is putting out their annual fundraising cookbook this week, so I thought I would share one of the recipes contributed by a fellow grad, Thais Melissa van Delft! 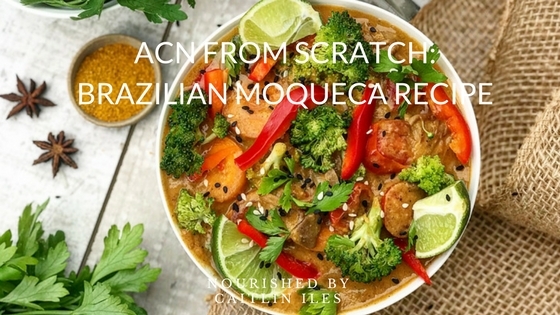 Her recipe for Brazilian Moqueca (something I’ve never heard of!) looks absolutely delicious and full of rich flavours perfect for the cold winter months. I’ve contributed recipes every year since its inception and this initiative is truly one of my favourite ways to give back to my community in a meaningful way. Click here to buy the From Scratch Cookbook 2018 to donate to Organics for Orphans! This is the 5th running of our From Scratch Fundraiser. All of the recipes and photography were done by amazingly talented graduates of the Academy of Culinary Nutrition. We have gathered together 40 original recipe creations to help raise money and awareness for the importance of from scratch, health supportive cooking in elevating the health of ourselves, each other and the planet. The cookbook is digital, allowing us to donate 100% of proceeds. From Scratch Cooking has had an incredible impact. Since the first edition was published, we have raised nearly $40,000 for charities around the world, including Organics 4 Orphans, Charity Water, Kiva, Pencils of Promise, The Red Cross and Community Food Centres Canada. Do you ever look at the veggies in the fridge and wonder how you can use them? Consider this vegan, Brazilian-inspired stew. It’s a light, delicious and full-of-flavor meal that will rock your lunch or dinner!